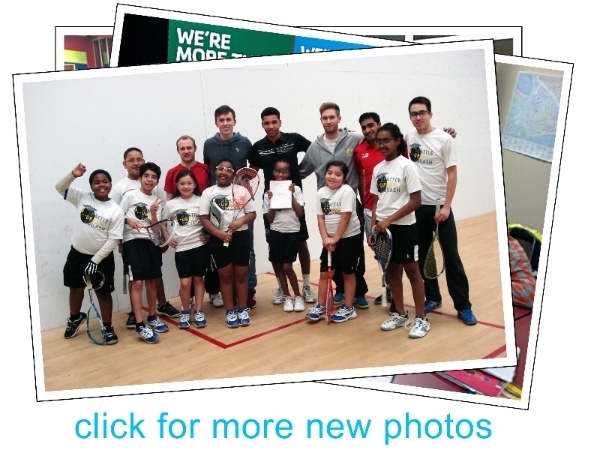 Welcome to the 16th edition of the Seattle Urban Squash Newsletter. Happy almost summer! Normally, the end of the season is a great time to take a step back, reflect, and appreciate everything that happened over the year. That’s all going to have to wait for now. We’ve got too much happening to look back yet! May was an incredible month of firsts for our program. Our students played in their first ever competitive tournament at the Seattle Athletic Club’s Spring In-House, we organized our first ever college sharing night for students and parents, and we participated in our first ever international book club with students from Bangalore, India as part of a new partnership with UNESCO (our first ever partnership with a global NGO!) I should devote a newsletter to each of these events, where I could fully describe everything we learned, all of the fun we had, and the incredible effort our community made to put them all together. Unfortunately I have to try to squeeze all this into one little page, so get ready for the most action-packed newsletter in the history of SUS. I’d recommend reading this one through to the bottom. Maybe the coolest thing to come out of all of this is an amazing short video about the night of the international book club. It perfectly captures the spirit of our program and our kids. Check it out here! We owe a huge thanks to Maria Gargiulo and Theo Angell of Michi Pix for volunteering their time and energy to put this all together. I’d like to sign off with just one end of year reflection. We have had an amazingly successful second season here at SUS, and a lot of that has been thanks to the dedication of one particular volunteer. Ana Martins took it upon herself to volunteer as our Academic Director this year, a position which most urban squash programs have had to pay a staff member for. Ana is all of our kids’ best friend and best influence, she provided the leadership and consistency we needed to get through a hectic fall, and she put together a tutoring program that is getting real results. We would never be where we are today without her hard work and dedication to the kids. Thank you Ana!! And thank you all as well for your continued support and interest in our program! We can’t do this without you! Our second annual fundraising dinner at Century Ballroom is on Friday June 26, and there are still spots available. Our fundraising committee has been working very hard to put on an event that will be fun for everyone in addition to raising money for the program. We will have three different professional dance performances, a guest DJ playing in a beautiful dance hall, and of course an amazing dinner from Century Ballroom’s renowned restaurant. Help us carry our program into 2016 by buying your ticket now! Visit http://seattlesquash.org/fundraisingdinner/ for more information and email info@seattlesquash.org with questions or to sign up. Click here to learn more about Century Ballroom. On May 22, SUS was proud to take part in a UNESCO effort to bring children around the world together through the power of reading. On a Friday night after practice, 10 of our students gathered in the conference room at the Seattle Athletic Club to get on a Skype call with a group of young Indians from the Parikrma Humanity Foundation (a wonderful organization serving some of India’s most needy students – see a TED talk from their founder Shukla Bose here). They spent an hour introducing themselves, sharing their cultures, and discussing Oliver Twist. It was a great effort by volunteers Ana Martins and Vandana Nandan at SUS, and the folks at the Parikrma Foundation in Bangalore to put it all on. We can’t wait to do it again! A very fun and enlightening time was had by all, and you can watch a video of it here thanks to the wonderful efforts of Maria Gargiulo and Theo Angell at Michi Pix. Late in the day on Friday, May 15, SUS students and parents gathered in the Northgate Elementary School library to hear talks from three of our weekly volunteers. 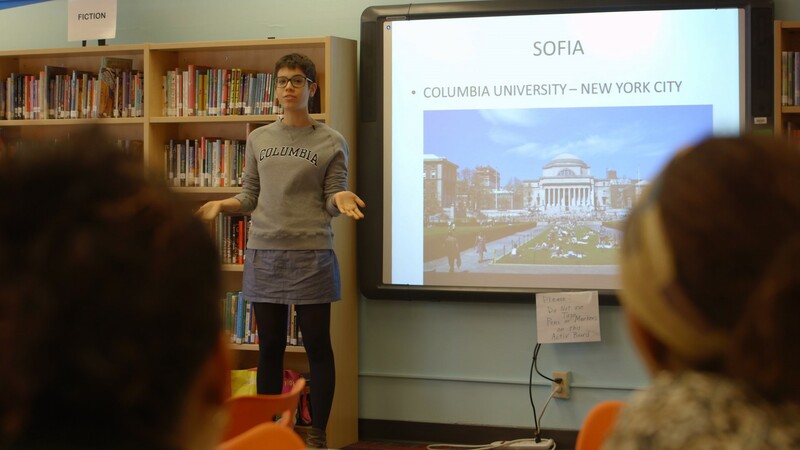 Lakeside students Sofia Martins, Will Hodge, and Olivia Martins shared the stories of their college application process to rapt listeners, after Ana Martins presented what our middle schoolers needed to do to prepare for success in high school and beyond. Steve explained the purpose of the program and the tremendous value of playing a sport like squash. This event was a great first for SUS, and everyone in the room walked away having learned something new. Thank you to our volunteer speakers who did a great job presenting their stories in ways that were both interesting and useful to our families. Summer is just around the corner, and with it a new practice schedule. SUS summer camp runs every Tuesday, Wednesday, and Friday from July 7-31, and we have spaces available for both academic tutors and squash coaches. Practice times and locations are below. If you are interested in volunteering, please send an email to steve.severson@seattlesquash.org. Volunteer slots will be given out on a first come, first serve basis. SUS hit a major milestone last month when three of our star players competed in their very first tournament! Ayana Tesfu, Jaylin Hughes, and Abdi Hassan all played in the Women’s C draw, taking first, second, and third in the consolation respectively. The players’ assembled friends and family got a taste of the excitement of squash as Ayana edged out Jaylin 11-9 in the fifth game to claim the top spot. Thank you so much to Manuela Manetta, Zarak Khan, and the Seattle Athletic Club Downtown for making our kids’ first tournament an unforgettable experience!